The little teeth of a fox. Skull of a baby caribou, tagged. The fox and the hare were in love. 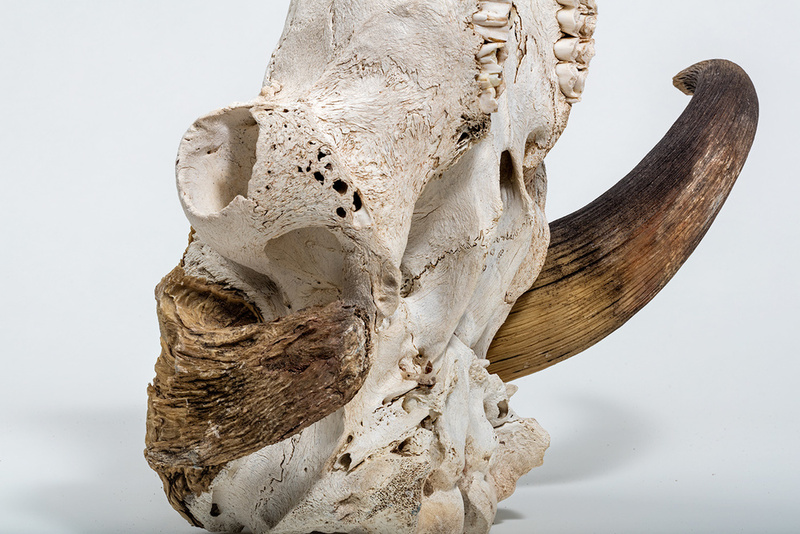 Unlucky in love, muskox skull with broken horn. This skull is amazingly heavy - the better to defend yourself with I suppose, if wits fail. Gray squirrel in Victoria's hand. The lower jaw of a caribou. Muskox horns are more hair than bone.